Welcome to Kansas Troubles! Enjoy our KT Retreat center through the pages of my book, Cozy Quilts & Comforts. 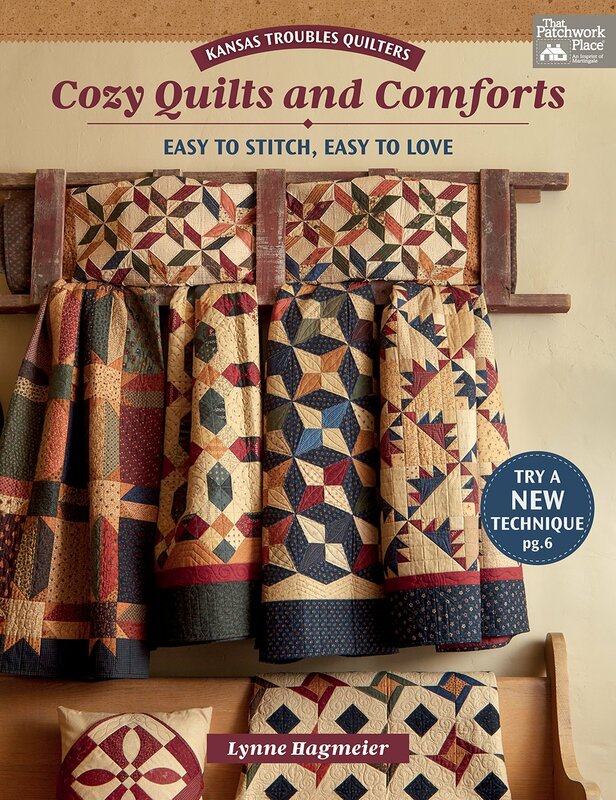 With more than a dozen ideas for easy quilts and small projects, there's something for everyone. I've included my favorite Kansas Troubles block, plus several more, in traditional piecing and my Layered Patchwork method. To save time, there are quilts featuring our KT Melon and Diamond templates for quilts for every skill level. So many ideas! Published by Martingale 2019.